Have there been times in the past 12 months when you did not have enough money to buy food that you or your family needed? 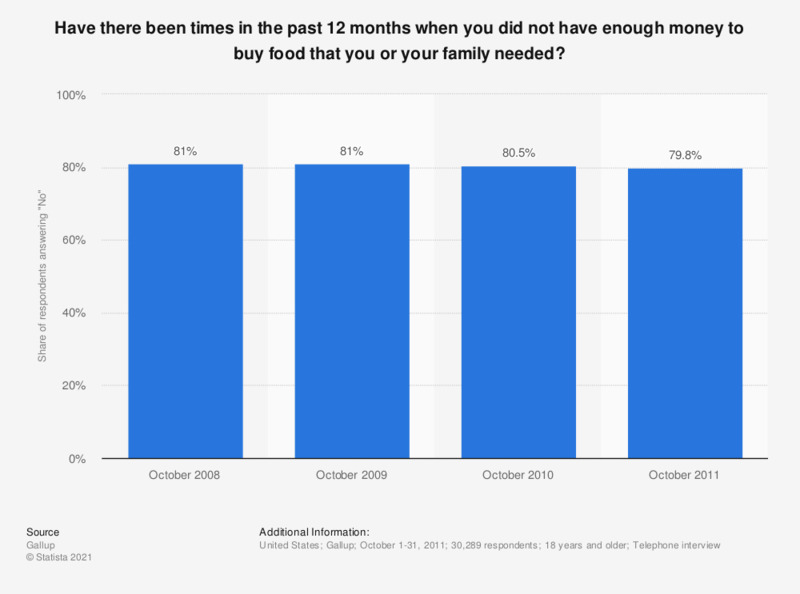 This statistic shows the percentage of the American population who had enough money to buy food for themselves and their families during the last 12 months. The most recent survey was done in October 2011 among about thirty thousand Americans. The results from preceding years were done under similar circumstances. 81 percent of the respondents had enough money for food in 2008, which indicates that 19 percent of the American population are lacking the money to supply themselves and their families with food. Share of respondents answering "No"